Access Windows 10 everywhere you go. The Quantum Access is equipped with the latest full version of Windows 10. The Quantum Access is driven by the all-new Intel Atom (Quad-core) 1.33 GHZ Z3735F processor. To ensure optimal performance, the Quantum Access offers 2GB of DDR3L RAM and a snappy 32GB of onboard memory. This powerful combination of hardware is perfect for heavy word processing, high definition video streaming, and gaming. 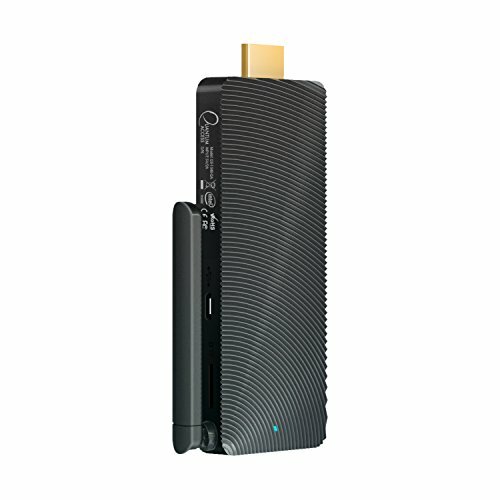 This mini PC is perfect for streaming media as it is fueled by a top-of-the-line Intel HD Graphics (Gen 7). 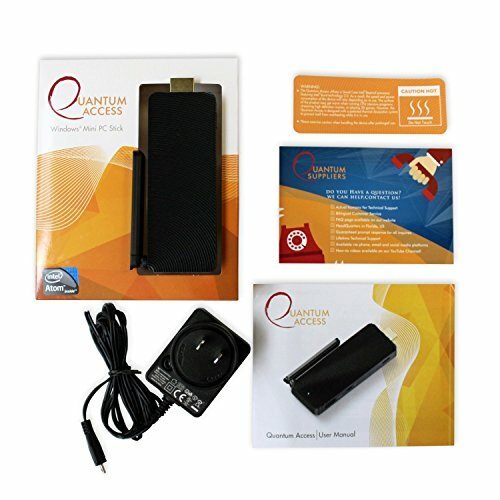 With a built in HDMI output, you can simply plug the Quantum Access into any HDMI port and instantly “access” your PC. Truly take the Quantum Access wherever you desire. Measuring 4.33 X 1.02 X 0.45 inches, the Quantum Access is the perfect size for any office, entertainment center, or bedroom. 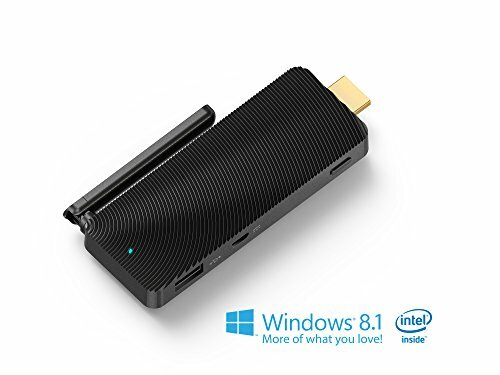 Enjoy a device that excels in versatility as this PC stick provides you with a full USB 2.0 port, micro USB port, and micro SD card slot.